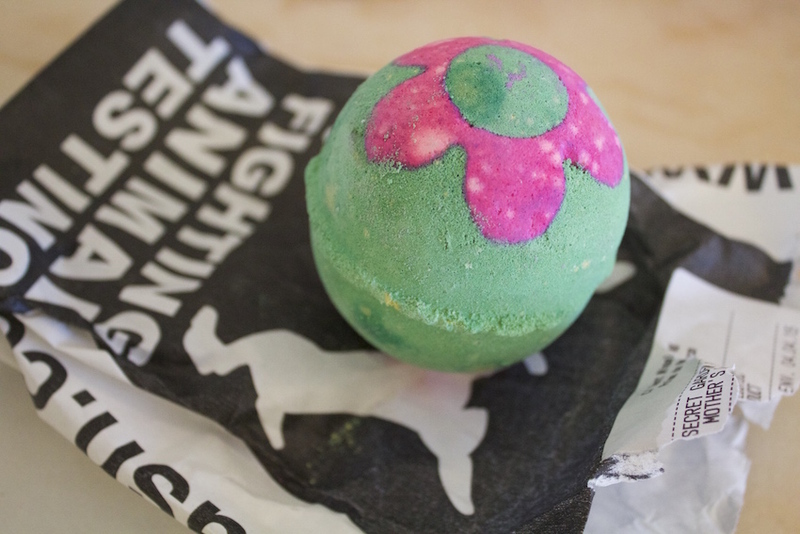 LUSH SECRET GARDEN BATH BOMB | RAWR BOWS. Hello everyone! A few days ago I bought my first ever Lush product - unbelievable I know. I went for the famous bath bombs. I picked up a Mother's Day special called Secret Garden. I chose this one because I really liked the smell even though I was a bit worried as to what the water would look like. I mean, green water? Not really appealing. The result, however, was really pretty. 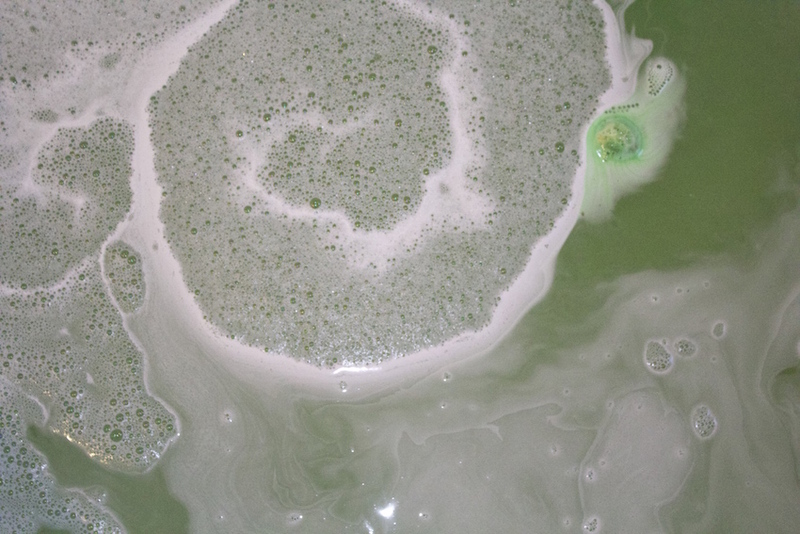 Once the whole bath bomb was dissolved, the water was green, not a dirty unappealing green but a nice bright green - much nicer than what it looks like down below, I promise. Inside the bomb there were a few dry flowers and some petals which were floating around the bath, so nice! The bomb smelled, as expected, like flowers. I would say maybe like roses, but I am very bad with smells so it could be any flower. Nevertheless, it was really calming and relaxing. After two epusodes of Grey's Anatomy I decided it was time to get out of the bath and do something with my life, my skin felt really soft and moisturised and I think my hair is softer too which I was not expecting at all. 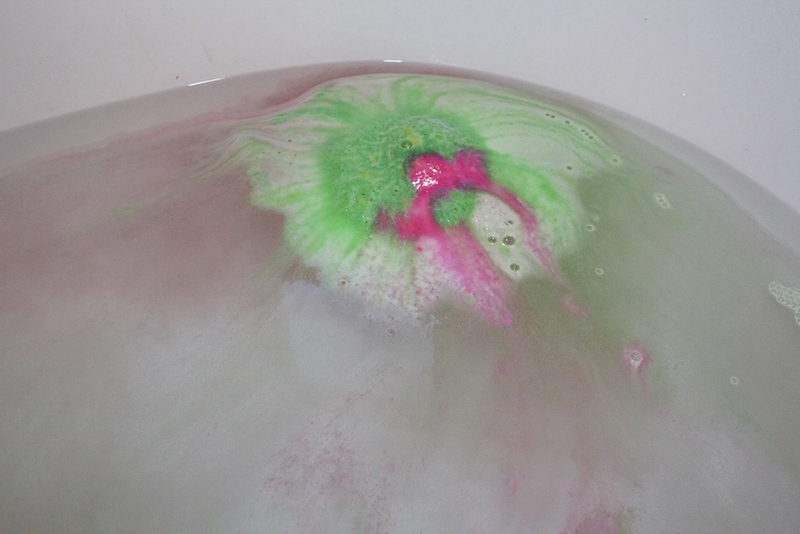 Overall, I was really pleased with the bath bomb and I am quite sure I'll be buying a few more soon!